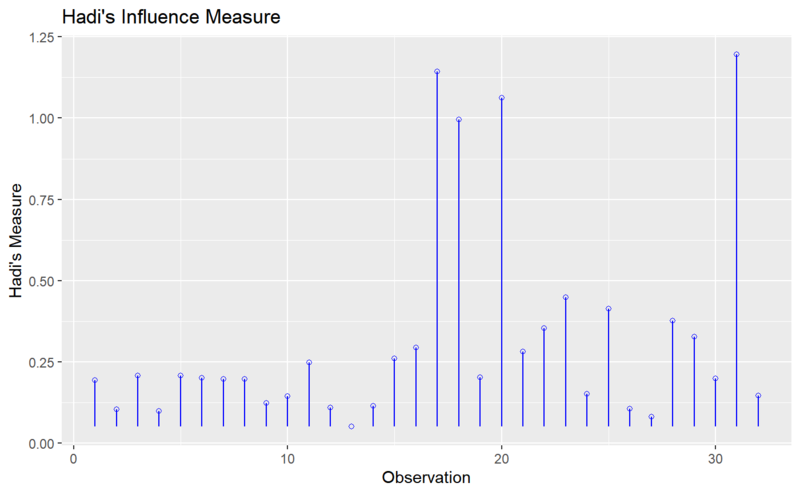 Hadi's measure of influence based on the fact that influential observations can be present in either the response variable or in the predictors or both. The plot is used to detect influential observations based on Hadi's measure. ols_hadi_plot() has been deprecated. Instead use ols_plot_hadi().